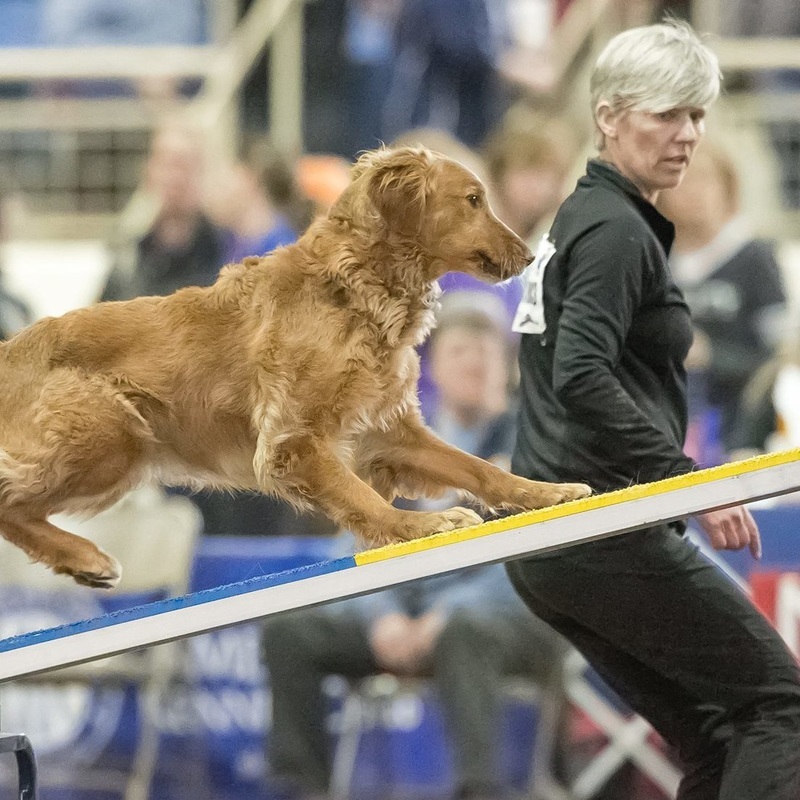 Tammy started training in agility in 2000 with her Golden Retriever Opie, and immediately loved the sport. In 2002 she rescued a Lhasa Apso, Happy, and was soon in the competition agility ring with her. Happy, 14 years old now, was ranked one of the top five AKC Agility Lhasa Apsos in the country, generating six invites to the AKC Invitational Show. 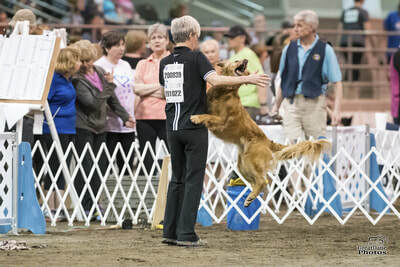 Not long after entering competitions with Happy, Tammy began to train her second Golden Retriever, Canon. Canon earned his MACH, as well as qualifying for the AKC Nationals. Currently Tammy competes with her Golden, Whip, who holds her MACH 4 title and finished 35th out of over 400 20'' dogs at AKC Nationals in 2017. Whip also earned the honor of being rated the number 13 Golden Retriever in AKC in 2013. 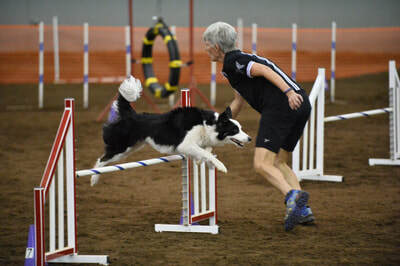 She also competes at the Master level with her Border Collie MACH Drama, and young Golden MACH Wheelie. All 3 of her dogs have qualified for the 2017 Cynosports games and Wheelie at 2 years old has qualified for the 2018 AKC Nationals. Tammy has participated in the AKC National competitions as well as USDAA Cynosports. 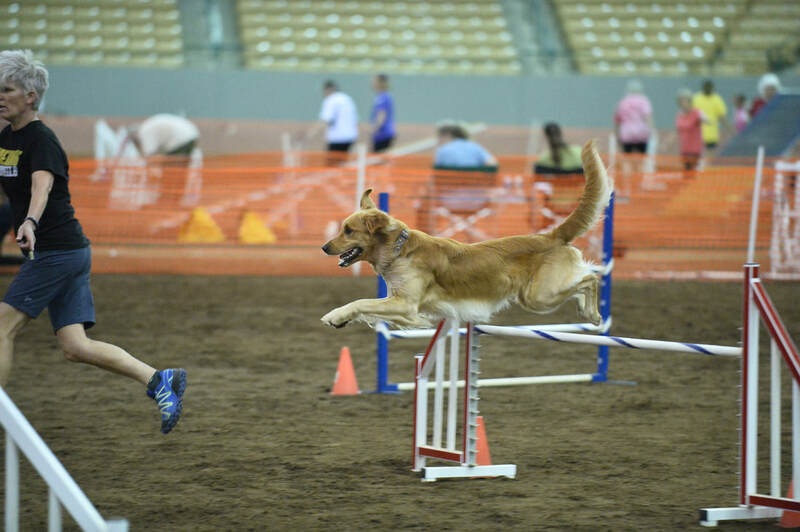 In addition to agility, Tammy has trained for, and competed in, Hunt tests and Dock Diving. Whip earned the Big Air National Champ Jr Division in Dock diving in 2009. 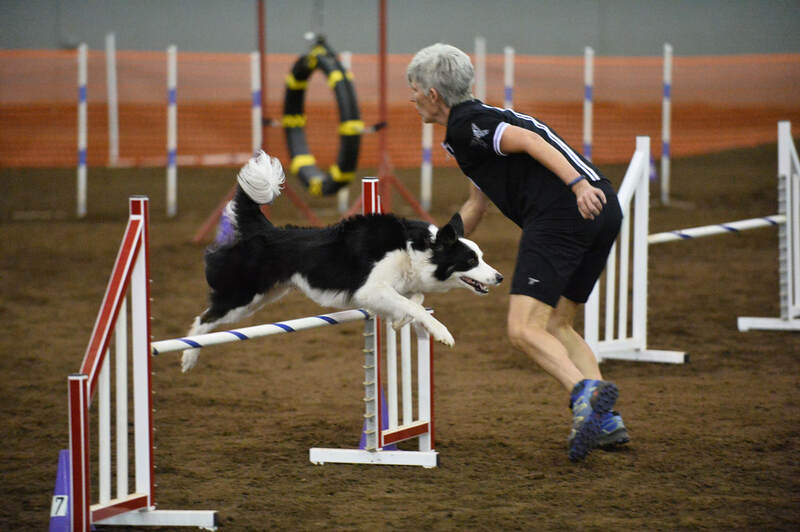 As Tammy’s dedication to Agility grew, she and her business partner opened Dash K9 Sports, a training facility in the Chicagoland area, and Tammy began training agility full time. Tammy believes in a blending of handling systems, with the realization that one size does not fit all. Her classes have a variety of students, aged 8 to 82. Having a variety of students with very different goals has allowed Tammy to hone her skills as an instructor. She developed her training to support the team, without the expectation that each relationship would fit into the same mold. Understanding the importance of continuing education, Tammy has worked with many top trainers. She has attended or hosted seminars with Anna Eifert, Tori Self, Jenny Dam, Dudley Fontaine, Karen Holik, Daisy Peel and Desiree Snelleman. Working with these other accomplished handlers, Tammy has learned how to teach to the strengths and weaknesses of each team. She can watch a partnership and develop the best plan suited for them. Whether a dog is cautious, has low motivation, has issues with focus, or other concerns, Tammy’s patience and knowledge will assist the partnership in being successful.